Jet-Care, the independent leader in engine trend monitoring services for the aviation industry, today announced that another successful quality audit was completed this week for their GPA (Gas Path Analysis) engine trend programs. 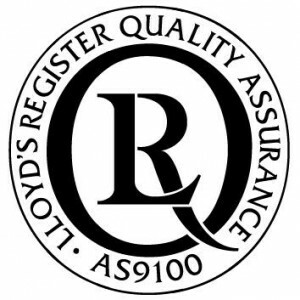 The audit was undertaken by LRQA, Lloyds Register Quality Assurance, and carried out in accordance with AS9100 Quality Management Systems standards. The particular scope of approval within the quality management system applies to “the analysis and interpretation of flight and other data for the purposes of assessing engine condition” and is the highest standard available to companies providing aviation services. Jet-Care have held the AS9100 accreditation, alongside ISO9001, since 2007 giving assurance to its GPA customers that a stringent quality management system is maintained and that the service they receive is of the highest quality available. Jet-Care has over 35 years of experience providing engine trend monitoring to the aviation industry and brings a credible and proven alternative to OEM programs. The bespoke GPA programs are renowned for their sensitivity and have a proven capability in identifying abnormal engine trends and deterioration. Unlike some automated services the Jet-Care program managers and engineers review every trend produced from the engine data they receive and create reports specific to the operators’ needs. In addition, the Jet-Care team are available to aid diagnosis, interpretation and provide guidance to maintenance teams. Today Jet-Care offers a broad range of engine trend programs, allowing operators with mixed fleets to choose just one provider for all their trend monitoring needs. To find out more click this link to view the Jet-Care GPA video. Information correct as at 16 May 2017 according to OASIS (Online Aerospace Supplier Information System), the system owned and maintained by International Aerospace Quality Group (IAQG).